It has to be said the season of 2017 on the Bandon River was very disappointing. The catch numbers were not steady and satisfactory as stated on certain social media reports. The spring fish were few and far between in the earlier part of the season however one or two were caught which is custom for the Bandon every year. Looking back at June we had a small run of salmon during the first flood of that month. 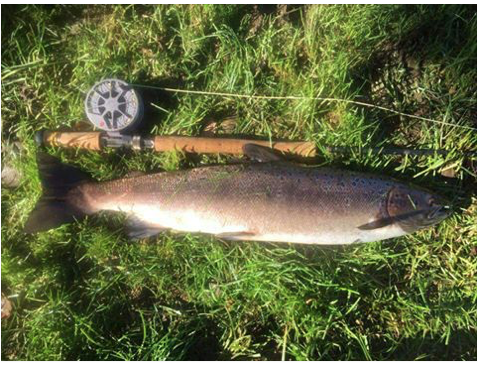 A few photo's emerged of Bandon Angling members catching fish however this window of opportunity was short lived and so were the run of salmon. 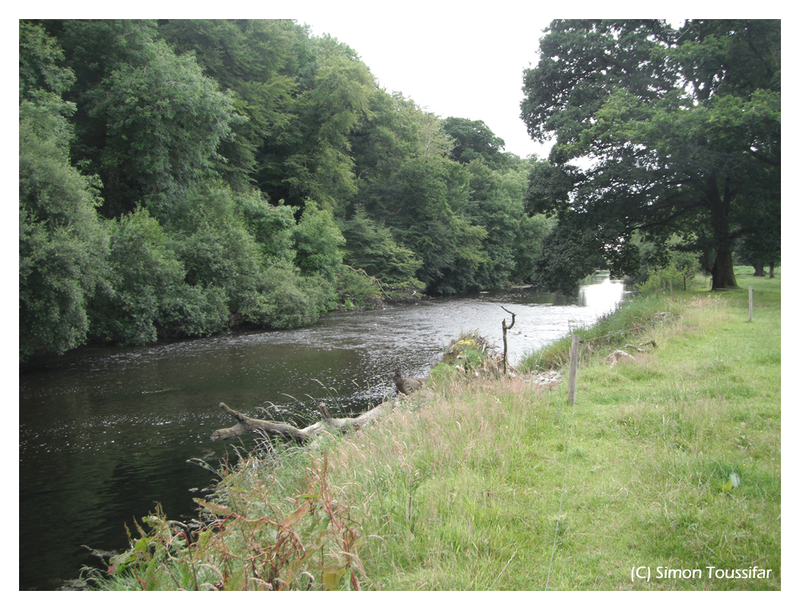 June on the Bandon is usually a great month for grilse but the downstream dredging works below Bandon town were definitely having an impact on salmon/grilse migration as the month went on. 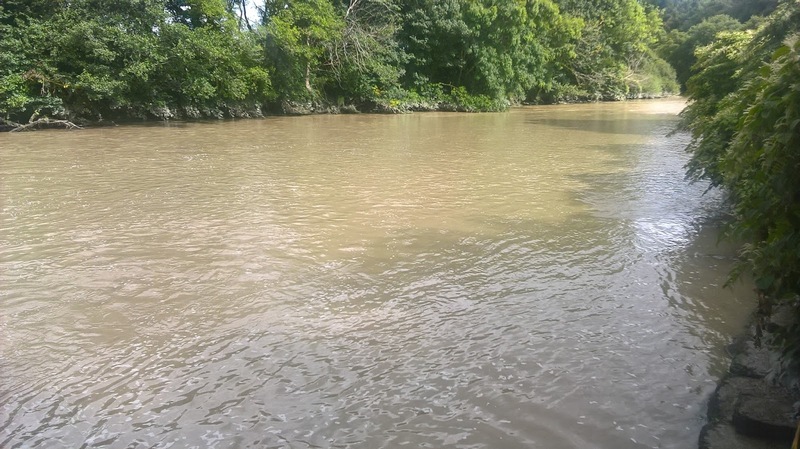 The usually good months of July and August saw very few fish running even though reports stated one or two fish were caught on worm and shrimp, these fish would have been left over from the first flood in early June. 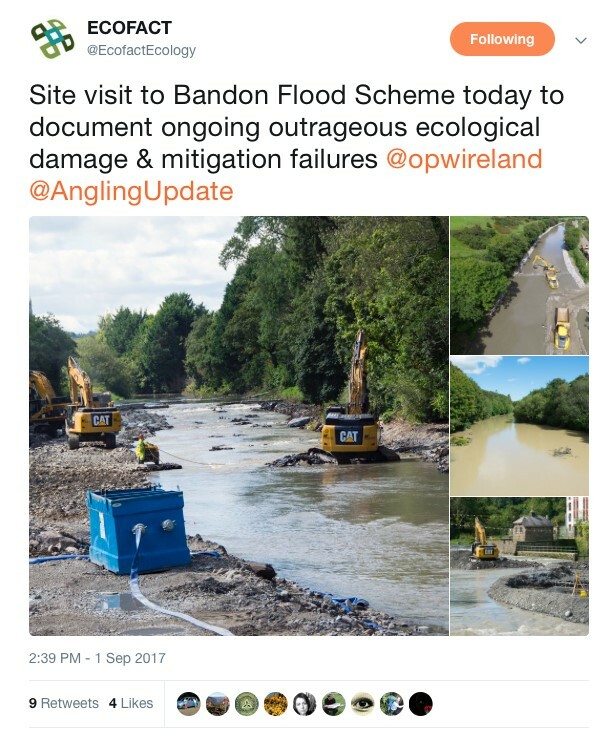 There were reports of trapped salmon in pools below Bandon at the height of the dredging works. 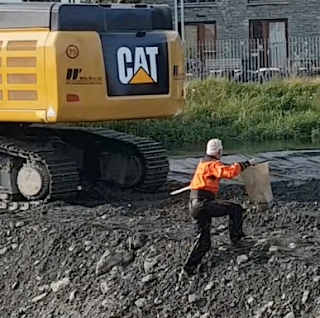 One of the onsite ecologists hired to oversee the dredging had put his own health and safety at risk by running behind a moving track machines blind spot while attempting to rescue a trapped disoriented hen fish. Anglers and nature lovers spoke of their concern over the resident brown trout, salmon smolt and lamprey populations below Bandon town during the dredging works. It is unknown of their fate but it is feared these fish may have suffered a high mortality rate. These fish should have been removed and transported to safety prior to dredging works commenced. 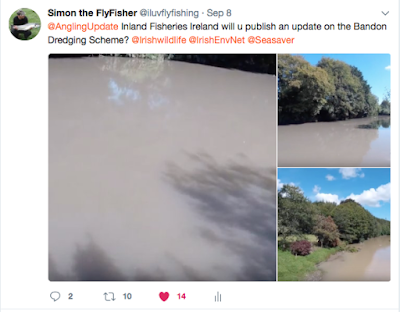 Inland Fisheries Ireland would not comment on water quality concerns even after members of the public made numerous requests asking for an update on the river dredging. The month of September saw a trickle of tired stale fish move up river mostly during the weekends while the track machines below Bandon had stopped work. Looking forward to season 2018 it most likely the Bandon River will be made a Catch & Release river to ensure the protection of future salmon and allow the river to replenish after the invasive in-stream dredging works of 2017. 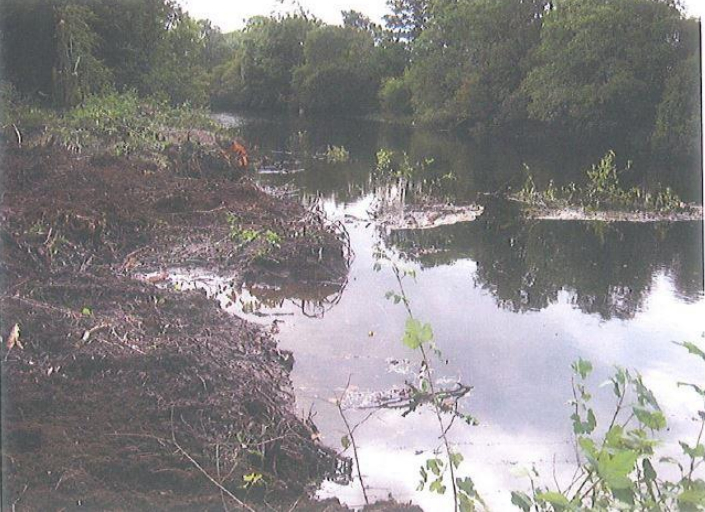 Friends of the Irish Environment is today (07-09-2016) publishing a Report obtained under Access to Information on the Environment showing shocking photographs of the Office of Public Works’ brutal bank clearance on the Bandon River beside Dunmanway’s Long Bridge in September 2015. 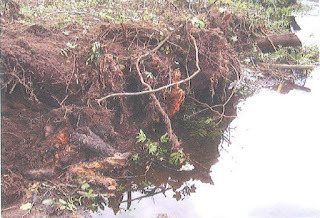 The site is host to a dense colony of the protected fresh water pearl mussel, and the Report details ‘removal of riparian trees and vegetation and disturbance of the ground resulting in the presence of large amounts of loose soil.’ Subsequent reports by the National Parks and Wildlife Service include photographs showing the river entirely overwhelming the silt fences put in place to prevent erosion. 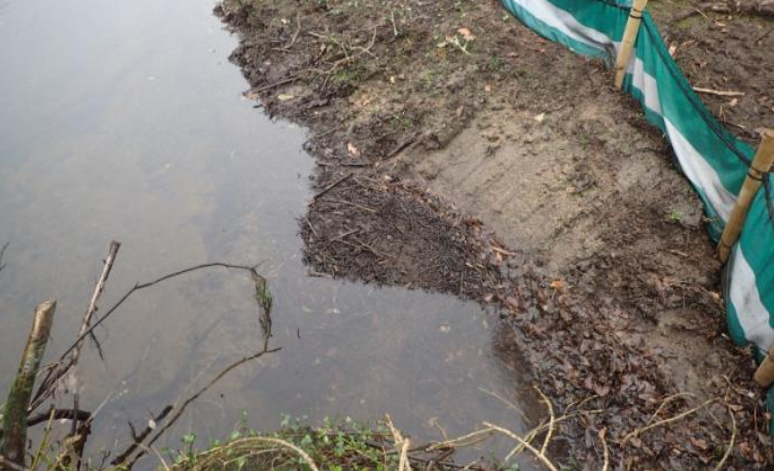 Friends of the Irish Environment has written to the Minister, highlighting the dangers to the environment of the OPW’s highly interventionist approach to urban flooding which emphasises hard landscape measures over catchment management and soft measures. The disastrous approach demonstrated in this Report is being replicated in the flood management schemes across the country. The phone rang, it was one of my fishing buddies. The conversation was the usual, we need rain, lots of it. Where are the salmon... Next flood we'll get a good run of fish surely? Having watched the 5 day forecast with anticipation, it appeared that heavy rain was finally due. So the usual ritual ensued, preparation of fishing gear, flies and make arrangements to get out! A good amount of rain fell a week and half into the month of September after a very long dry spell so there was an expectation of a good run of fish. 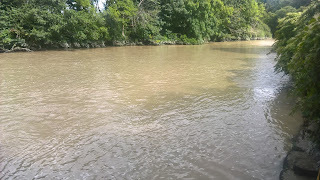 The river came up and started to drop. It was time to go fly fishing. I met the fishing buddy that morning and off we went on a mission to catch salmon! On arrival the water looked perfect, still up high with the colour clearing. No sign of fresh fish travelling, a few coloured fish jumping alright. First pool worked it down and nothing. Moved on to the next pool and cast the fly across waiting for that subtle take. Then sure enough as the fly swung around I felt that slow pulling of the line, it was the unmistakable take of a salmon. Doing nothing as is the way when salmon fly fishing when a salmon takes I let the fish turn to hook itself and slowly but firmly pulled into the fish so setting the hook. You lucky bugger he said... You might aswell go for the Hat-trick now.... Two casts after he said those words... bang and into a third fish... Hey I'm on again I said... What!!! This was another big fish... It battled hard and took its time getting into the landing net. 14 pound coloured hen fish, again we wasted no time in returning this fish and it took a few moments to recover before swimming away. 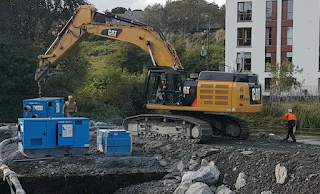 Irish Water has announced it’s finally starting work on a €7 million upgrade of sewage treatment and water supply systems in Bandon, Co Cork. The company made the announcement yesterday, saying the upgrade will aid security of water supply, improve pressure and reduce leakage. 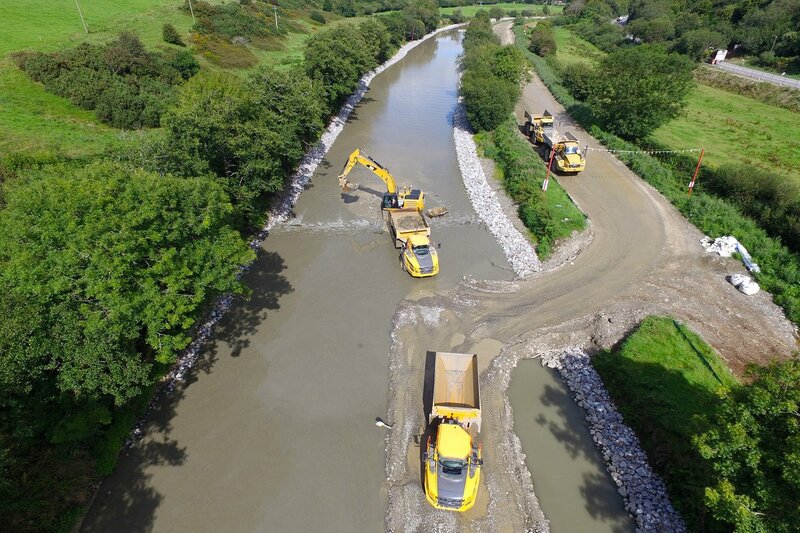 The upgrade of the sewerage network will increase flow capacity, reduce discharges to the Bandon River and aid in alleviating sewer flooding which hit the town recently. Both systems will also allow for further development in the town and should be completed in two years’ time. The project will involve the replacement of approximately 5.1km of water mains pipes which are in poor condition with high levels of leakage. An additional 2.5km of trunk water mains will be installed in order to increase network capacity. A further 5km of existing sewers will be upgraded at various locations throughout the town. 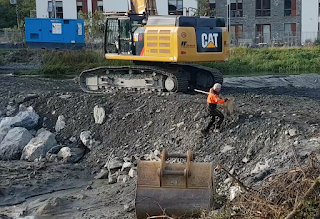 Irish Water spokesman Mark O’Duffy said that by delivering water and wastewater services in one project, it will reduce the impact of the works on the local community, deliver the projects in a shorter timescale and generate overall cost savings. He said site investigation works are the first important step in enabling design of the route for water and waste water rehabilitation work, and it is anticipated that a construction works contractor will be appointed in the second half of 2017. The site investigation work will take place at various locations around Bandon where water mains and sewers will be installed or replaced, and Irish Water expects these works to be complete by October. 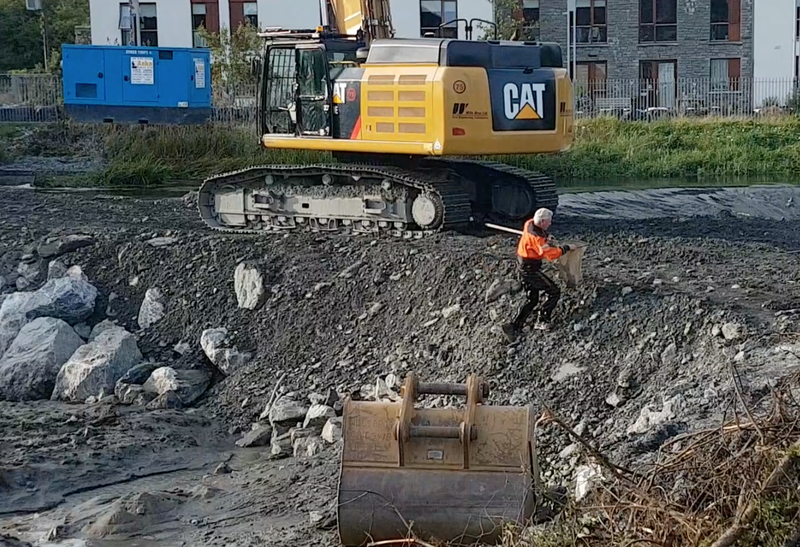 The work will be carried out by IGSL Ltd (Ground Investigation and Geotechnical Specialists) working on behalf of Irish Water. Mr O’Duffy said site investigation works will involve small trial hole excavations, slit trenches and borehole drilling. This work will also assist in the identification of any archaeological sites of interest. 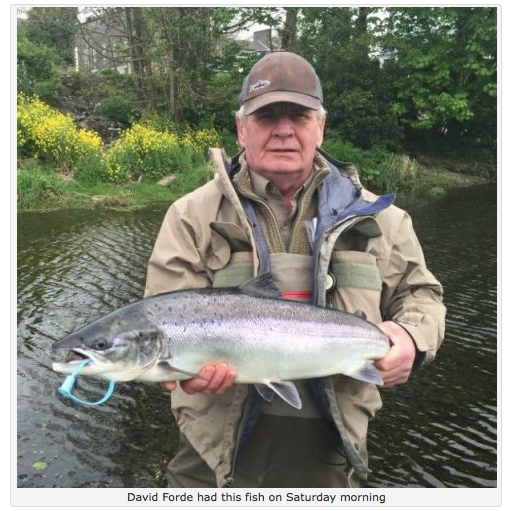 It was a great week for anglers on the Bandon River with the long awaited arrival of travelling fish in good numbers. Salmon were spotted jumping the weir in Bandon town in two's and three's which was quite a sight to see. Bandon Angling Association members reported multiple catches with a mix of colored and fresh fish being caught and lost. Dry fly fishing for brown trout has also improved with warm evening temperatures prompting good evening hatches. 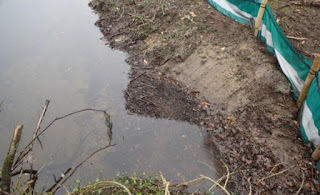 All brown trout in the pics below were safely released after photo taken. 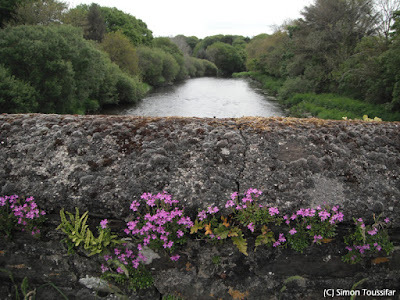 The most dominant water level on Ireland's so called "Spate Rivers" is low water. 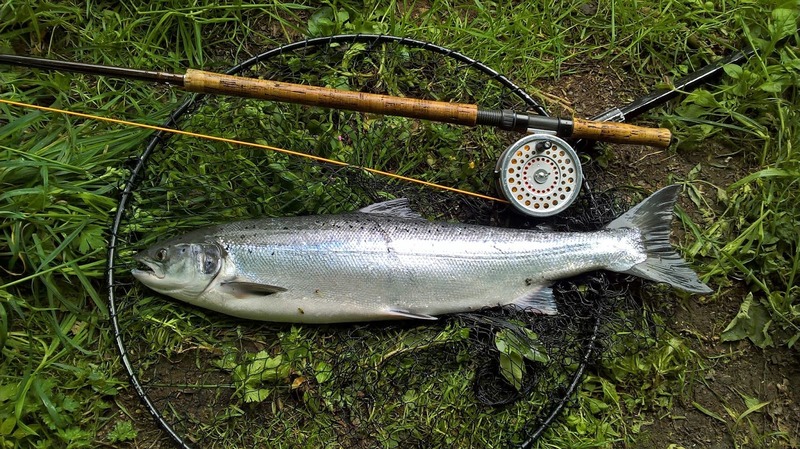 The chances of catching a salmon are low but not for sea trout! The sea trout can be best described as "Nomads of the Tide" who will travel up rivers regardless of water level, even in very low water conditions. Great sport can be experienced by using a small-medium sized trout rod (6-7wt) with a silvery streamer fly, hook size 8 or 10. During the day it’s no harm to look in the pools before fishing by darkness of night. This means in the month of July, sea trout fishermen don’t start fly fishing till it’s completely dark. There are plenty of rivers in County Cork that enjoy good runs of sea trout in the summer months. The Argideen river, Bandon river, Ilen river, River Lee, Owenabue (Owen Boy!) to name but a few and some smaller rivers with tidal influence as well. If you catch a sea trout by fly don't be at all surprised that the fish will spend most of the fight jumping in mid air, providing great sport. The use of barbless single hooks is encouraged and release of all sea trout unharmed. With a Grilse just landed by his companion, Chris McCully is compelled to cast into a falling river to search for another. This article appeared in Trout & Salmon Magazine in the April 2010 issue. Used by kind permission of Chris McCully and Gardiner Mitchell. Thanks guys. Last month I had the pleasure of fishing with Chris McCully, fly fisher, author and writer. 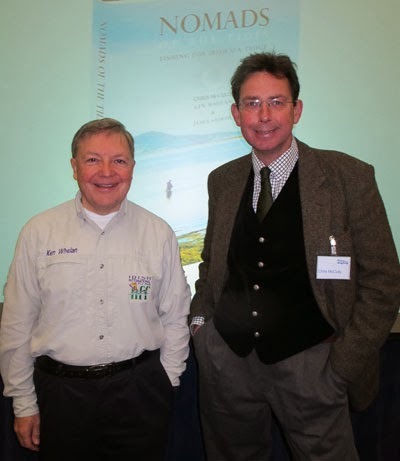 Chris has written several books and has published many interesting articles for Trout & Salmon magazine over the years. When Chris first made contact with me he mentioned he was in the process of writing a new book on Sea Trout called "Nomads of the Tides" and asked if I would show him along the Bandon and Argideen rivers. Chris loved the sea trout fishing in the estuary pools and up stream beats. The new book will examine Irish sea-trout fishing past and present. I fished the Bandon River this morning for salmon with no luck. 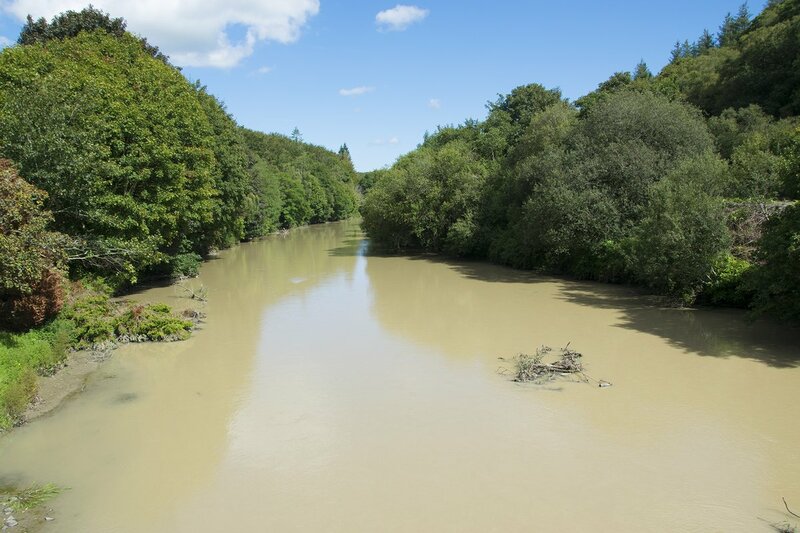 Water levels are very low on the river due to one of our driest summers on record. The river is down to its bones now and badly needs some rain. The weekend forecast is set for heavy rain. With only a month left before the season closes everyone is hoping for more rain to encourage the salmon into a taking mood!